Blue Oval has finally revealed everything about the 2018 Ford F150 Power Stroke. 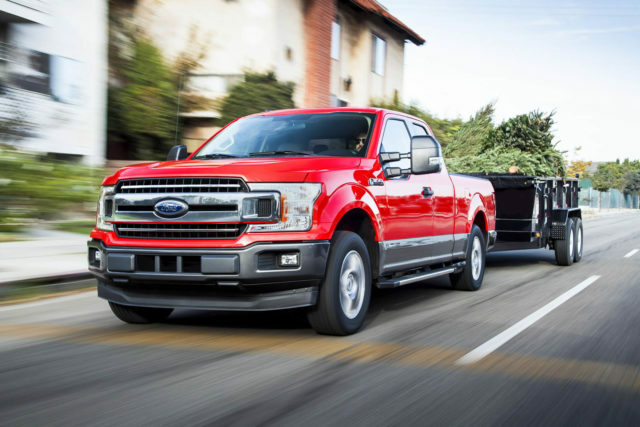 The most popular pickup truck in North America is using an amazing oil-chugging option under the hood for the first time. Some earlier speculations about the powertrain turned out to be true because the manufacturer has actually borrowed the Lion engine. Okay, the engine isn’t the same, because Ford’s engineers made some pretty important upgrades. 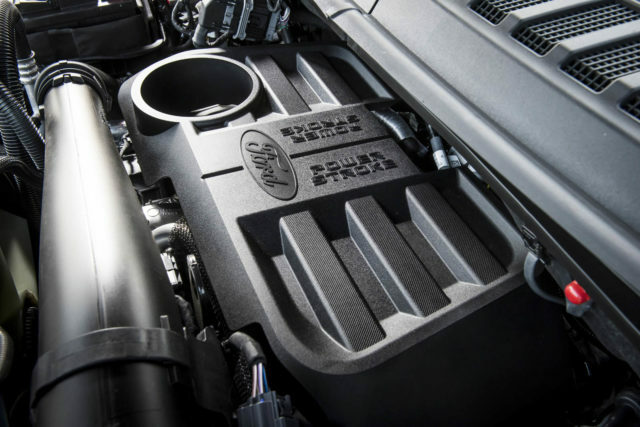 According to Ford, the 2018 F150 Power Stoke will use a 3.0-liter turbocharged V6 with Jaguar Land Rover roots. The oil-burner will deliver 250 horsepower and 440 pound-feet of torque. The power and torque are enough for the maximum towing capacity of exactly 11,400 pounds. Payload capacity, on the other hand, is limited to 2,020 pounds. Of course, the engine is paired with a new-in-house 10-speed automatic transmission. 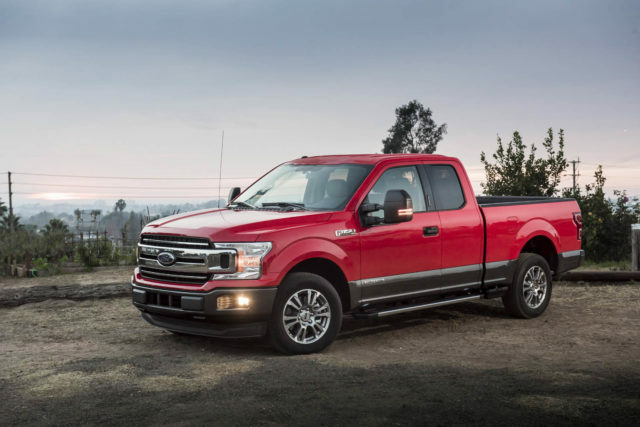 Compared to the Ram’s 1500 EcoDiesel the all-new F150 Power Stroke seems better in every single aspect, which is good because the biggest rival has to upgrade its own diesel option for the upcoming year. Ford made its stop/start standard even for the base half-ton Power Stroke. The main reason is truck’s fuel economy of course. Unofficially, the vehicle will reach 30 mpg highway, but let’s wait for some real testing. Though the current Ram 1500 EcoDiesel achieves “just” 27 mpg on the highway, so it seems that the 2018 Ford F-150 Power Stoke wins this round for sure. The diesel truck can be optioned on 4×2 and 4×4 models in SuperCrew or SuperCab configurations. Ford hasn’t released any pricing information so far, but we expect that the Power Stroke F150 pickup must cost around $4,000 more than the same model with the 2.7-liter EcoBoost. Meaning, the diesel truck will likely be priced at $31,300.